Paris, Tuesday, June 12th, 2018 – Today, ELA International (the European Leukodystrophies Association) together with Baccarat have unveiled in Paris an exceptional piece: the crystal replica of Zinedine Zidane’s foot, created by Baccarat in a limited edition to be given as a counterpart to a donation in favor of ELA International. As an extremely loyal and involved Ambassador in ELA’s cause for more than 18 years now, Zinedine Zidane himself has unveiled this new piece for which Baccarat has called its most talented artisans keeping a know-how of over 250 years, like a “Chevalier des Arts et des Lettres” (Knighthood for Arts and Literature) and a “Meilleur Ouvrier de France” (Best French Craftsman). Made out of the left footprint of Zinedine Zidane, this crystal piece has required a work of perfection. 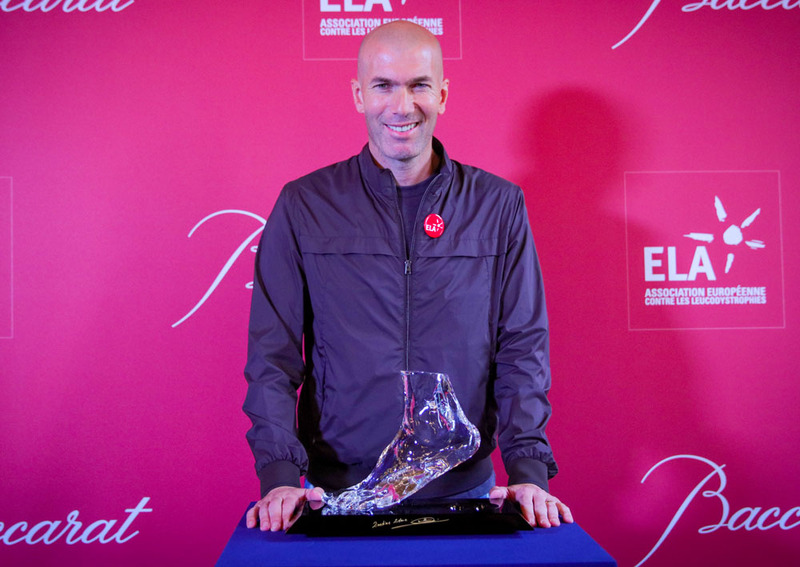 According to Guy Alba, President of ELA International, this humanistic footprint is the symbol of Zidane’s visceral attachment to ELA’s fight against Leukodystrophies and is a true message of hope sent to the people touched by the disease and their families. As a counterpart of a donation of 40000 euros minimum in favor of ELA, the donor will receive this outstanding piece specially designed for free in favor of ELA, to support medical research in the field of Leukodystrophies and the development of ELA International.